Can Tun Mahathir Solve the Malaysian Housing Crisis? Uncertainty has been reflected in the volatility of the stock market ever since the country voted in a new ruling coalition. In the past few weeks, steps have been seen to be taken to address corruption and debt in the country. A new Local Government and Housing minister has been elected and her first order of business is to discuss with the Finance Ministry and Bank Negara Malaysia, the difficulties faced by first-time house buyers to get loans. It’s a start, but can the Tun M and his merry men (and women) of the Cabinet take Malaysia through the housing crisis? With the recent change in government, all eyes are on Pakatan Harapan to solve the housing supply-demand crisis in Malaysia. The current situation is dire with a severe lack of affordable housing, and a glut of expensive properties, and many Malaysians not being able to afford to purchase their own home. The previous Najib administration had set a target of building 1.1 million affordable homes by 2018 to address the shortage, but after 5 years, only 23% (255,341) of the total was completed. In November 2017, Tan Sri Noh Omar, the Urban Wellbeing, Housing and Local Government Minister blamed state governments for the delays, citing a lack of cooperation. Addressing a question in the Dewan Rakyat, Noh said that 25.6% (285,097) of the houses were still under construction while 39% (432,415) was in various planning stages. He said the remaining 12.4% (138,775) had yet to make it to the planning stage. At the same time, there was an overhang in the amount of PR1MA homes for sale nationwide. Slightly under half (12,492) of the total PR1MA homes (25,132) had yet to be sold. 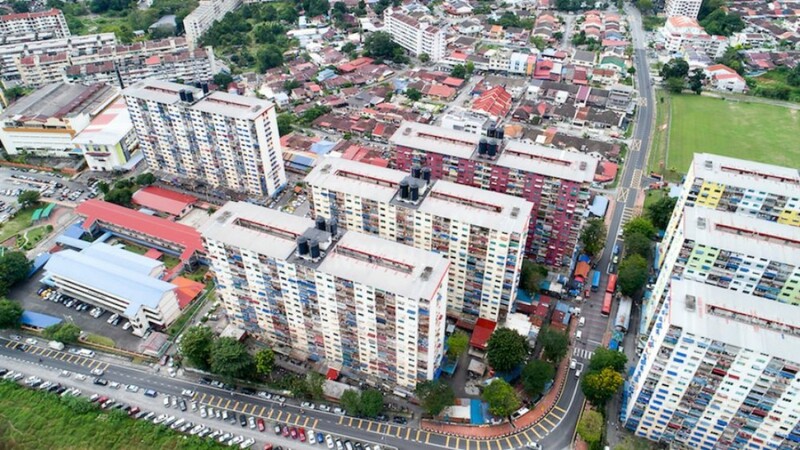 The PR1MA Malaysia Corporation was established under the PR1MA Act 2012 to develop housing for middle-income households in key urban centres, with a target price range of between RM100,000 to RM400,000. This programme that was initially meant to help the average Malaysian buy his or her first house was relaxed in 2013 to allow purchases of second homes, and eligibility was widened this year to include households with a monthly income of RM15,000. The overhang showed that PR1MA homes were still priced out of reach for its target market. The maximum affordable house price in Malaysia is estimated by Bank Negara to be RM282,000. Property expert Ernest Cheong has said PR1MA should stick to its objective of providing affordable homes to middle- and low-income earners instead of jumping on the high-end property bandwagon. In PR1MA’s Jalan Jubilee development in Kuala Lumpur, the largest unit, a 1,089 square foot unit with three bedrooms and two bathrooms, was going for RM445,000. A nationwide housing expo was held in March this year entitled “Housing Sale Expo Towards a Million Dreams, Experience A Wholesome Lifestyle”. The expo was a joint initiative by the Ministry of Urban Wellbeing, Housing and Local Government, the National Housing Department (NHD), PR1MA Malaysia Corporation, Syarikat Perumahan Negara Bhd (SPNB), 1Malaysia Housing Projects for Civil Servants (PPA1M) as well as state government agencies. According to a report by The Malaysian Insight, hopeful buyers at the expo in Kuala Lumpur were disappointed with the severe lack of homes below RM250,000 for sale. Pakatan has pledged to institute a couple of reforms in the housing sector. One of those reforms is to ensure that developers under the PR1MA program do not merely build a small number of affordable houses, after obtaining land at discounted prices. However, Pakatan’s manifesto has not addressed the pricing issue that PR1MA is currently facing. The reforms they undertake must include pricing homes within the means of the average Malaysian, otherwise the current overhang of PR1MA homes will continue. Coordinate with the banking sector to expand access to financing for first-home buyers. Building one million affordable homes by 2028 is a more realistic target versus the previous one set by the Barisan Nasional administration. Nevertheless, current house building efforts must be doubled to meet this target, judging from the rate of construction we have seen so far. The open database on unsold affordable housing is a welcome one in the interests of transparency, allowing potential house buyers to find information on available affordable housing. This will prevent unscrupulous developers from hiding information from unwitting house buyers, and maximising their profit by marketing the premium market instead. The expansion of financing for first-home buyers will allow more Malaysians to own their own homes, while the rent-to-own scheme acknowledges segments of the population that do not qualify for financing, or are otherwise unable to purchase an affordable home. Other plans Pakatan has for the housing sector include raising the quota for affordable houses; to introduce a time limit for developers to complete constructions, so that land-hoarding can be avoided; and tax incentives for developers who focus on affordable housing, to encourage the use of efficient building technologies to reduce cost. The new government’s manifesto appears to address many issues in relation to affordable housing shortage. Still, one hopes that the PR1MA reforms they take will fix the current lack of focus in the programme. The nascent Pakatan administration is yet untested, but under the experienced hand of Malaysia’s longest-serving prime minister, buyers and stakeholders alike can look forward to a comprehensive reform of the housing sector, with hope that the current crisis can be solved. For a start, Housing and Local Government minister Zuraida Kamaruddin will meet the Finance Ministry and Bank Negara Malaysia to discuss difficulties faced by first-time house buyers to get loans. Zuraida promises that the ministry will find the best mechanism to ensure related issues can be resolved, namely involving applications for the purchase of affordable housing. The current glut of higher-end housing, and undersupply of affordable housing is causing activity in the investor market to remain stagnant. If Pakatan can correct the supply-demand imbalance, property prices may start to rise again. Policies will take time to be implemented, and it will be some years before we see real change. As we have said previously, the local market in 2018 is shrouded in uncertainty — a situation thrown into even sharper relief as the nation waits for the current Government’s plans to take effect. With the recent fall of the UK and Australia currencies, properties in those markets are more attractive than ever, offering investors an opportunity to take advantage of the currency rate and get on to the overseas investment bandwagon. Do you think Tun Mahathir and Pakatan can do better than BN in addressing housing affordability concerns in Malaysia? Share with us in the comment box below. If you think your money would be better spent on property investment overseas rather than the local market, give us a call at 03-2162 2260!